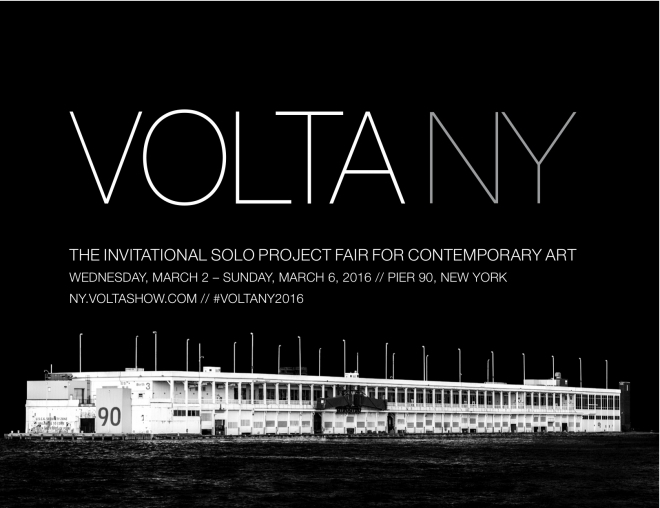 In March 2016, VOLTA NY returns to PIER 90 in the neighborhood of Hell’s Kitchen, New York City, adjacent to The Armory Show, the longtime anchor of Armory Arts Week on Piers 94 and 92. The Armory Show and VOLTA NY are affiliate fairs that provide complementary visions of the international contemporary art world. Both fairs share mutually acknowledged VIP access.